Sac Bee Fishwives Troll Rep. Tom McClintock. Again. Posted by Katy Grimes at 4:37 pm on Feb 09, 2017 Comments Off on Sac Bee Fishwives Troll Rep. Tom McClintock. Again. 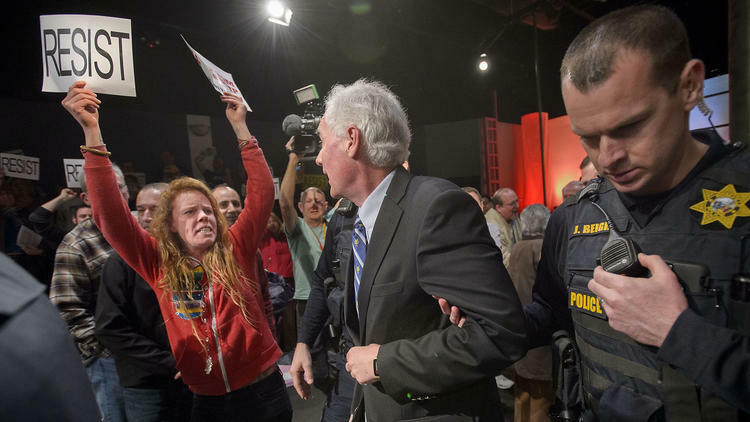 The harpy fishwives on the Sacramento Bee editorial board, and shameless editorial boor Dan Morain, wrote an editorial Monday disputing the nature of the protest outside Republican Rep. Tom McClintock’s Townhall meeting held on Saturday in Roseville (“That’s not anarchy, Rep. McClintock, it’s democracy,” Feb. 6, 2017).